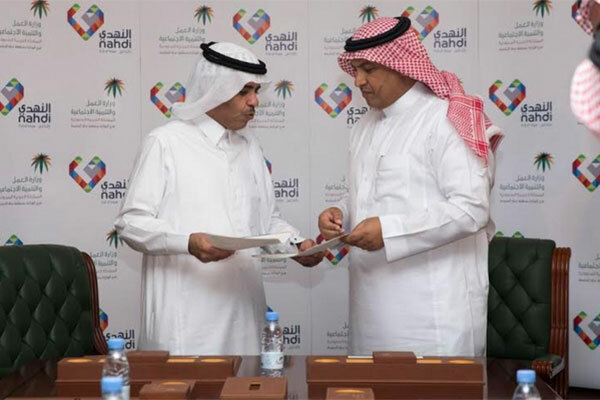 Saudi Arabia’s Ministry of Labour and Social Development (MLSD) in the Makkah region has signed a nationalisation agreement with Al Nahdi Medical Company for the pharmacies sector in the Kingdom. The agreement covers preparing and qualifying the young Saudi Arabian men and women for the labour market, by providing training programs offered by Nahdi Medical Company in their reputable academy, Al Nahdi Academy. The signing ceremony was held in presence of Dr Abd Allah bin Ahmed Al Tawi, director of the branch of the Ministry of Labour and Social Development in Makkah region and Dr Youssef al-Harthi attended on behalf of Nahdi Medical Company’s CEO Yasser Jawhergi. The agreement comes under Al Nahdi’s strategy in line of the Saudi Vision 2030, to expand its community health services in cooperation with the Ministry of Labour and Social Development, along with activating the role of the private sector to support the Saudization programs, while creating real and sustainable opportunities for the Saudi Arabian youth to play their role in supporting the cultural and societal progress that the Kingdom is witnessing. Dr Al Tawi has confirmed that this initiative is in a bid to enforce related decisions and programs that empower the Saudi youth to embark on their careers and enhance public-private partnership which helps carry out those plans. “Through this agreement with Nahdi Company, we also seek the growth of nationalization in the private sector in the different areas of the Kingdom, along with increasing the percentage of the national working force in the labour market, by enabling effective partnerships with the private sector,” he said.